Green leafy vegetables are very good for our heath. There are several green leafy vegetables available in the market. 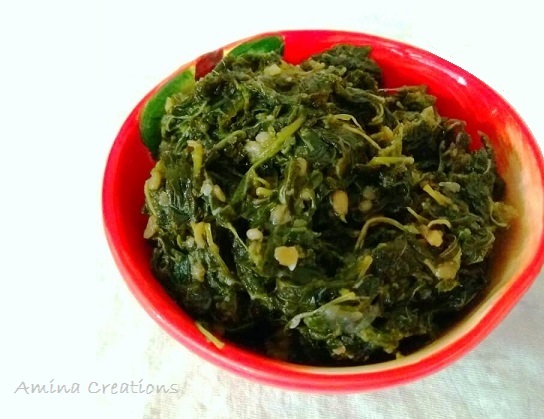 Spinach is one of the most commonly used and easy to make green leafy vegetable. I have shared several recipes with spinach in my blog and you can check them out in this page. 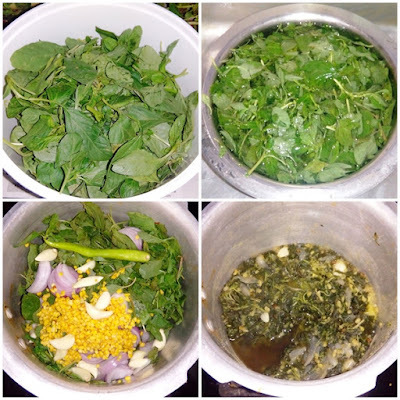 Today I am going to share a healthy recipe of Chudi ki bhaaji or Sirukeerai which uses no oil and is very healthy and tasty. You can serve this as it is for lunch or with rice and sambar. Take 2 bunches of amaranth leaves, spread newspaper below and pluck the leaves from the stalk and put them in a vessel. Once all the leaves have been plucked, take one batch in a large vessel. Keep another vessel ready near the sink. Add water to the vessel with leaves and rinse them by rubbing with your fingers and then transferring a handful to another vessel. In the same way wash all the leaves and transfer to the other vessel. 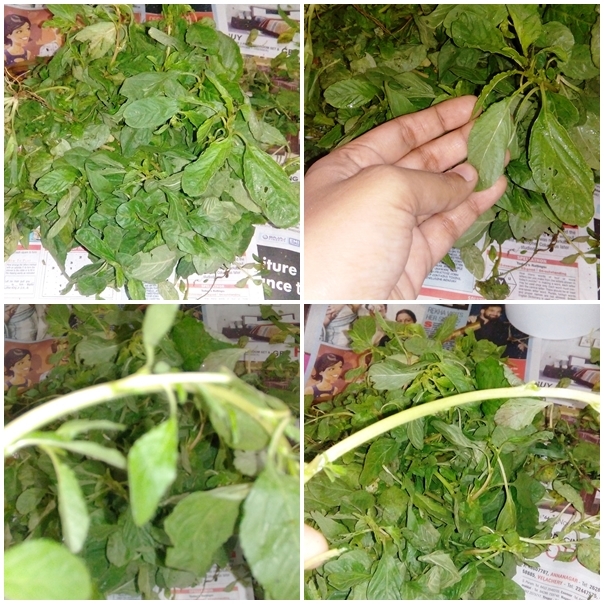 In the same way wash this batch of leaves 3 or 4 times to remove all dust and mud. Repeat the process with the remaining batch of leaves. Once all the leaves are washed and all water has been drained, transfer them to a 5 litre pressure cooker. Remove the water from the moong dal and add the dal along with garlic cloves, salt and green chilli to the cooker. Add ¼ cup water and close the lid of the pressure cooker. Pressure cook for about 4 whistles. Once the steam comes out, open the lid and check if there is water. If yes cook for a few minutes in low flame till most of the water has evaporated. Switch off the gas and transfer to a serving bowl.